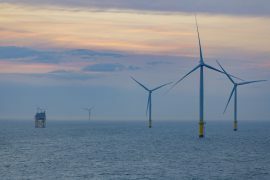 Walney Extension, a 659MW wind farm in the Irish Sea, is scheduled to become the world’s biggest offshore wind farm in a few days and throw the 630MW London Array off the throne. 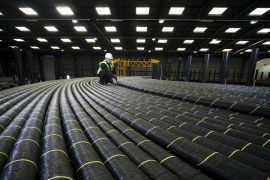 Ørsted has awarded a multi-million pound contract to JDR Cables for the supply of inter-array cables and termination work for Hornsea Project Two, which will become the world’s biggest offshore wind farm, once operational in 2022. 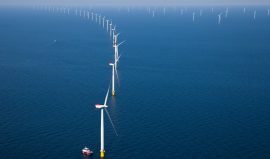 Deutsche Offshore Consult GmbH (DOC) has completed the supervision of the inter-array cable installation at the 396MW Merkur offshore wind farm in the German North Sea. 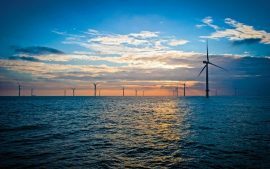 Spectrum Offshore has secured a five-year contract to provide combined crew transfer and survey services for the London Array offshore wind farm. 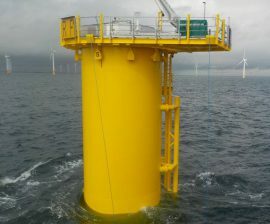 The eleventh and final MHI Vestas turbine was erected on 26 May at the European Offshore Wind Deployment Centre (EOWDC), where the inter-array cable installation works are also coming to an end, thus moving the project to the final commissioning phase before it generates its first power later this summer. 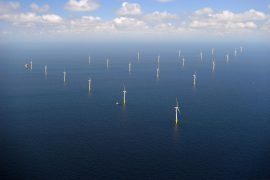 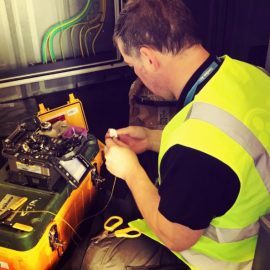 Siemens Gamesa has commenced a blade repair and upgrade campaign at the Anholt offshore wind farm, after signing agreements with Ørsted for these works to be carried out on the Danish offshore wind farm and UK’s London Array, both featuring Siemens Gamesa’s 3.6MW wind turbines that have been affected by leading edge erosion. 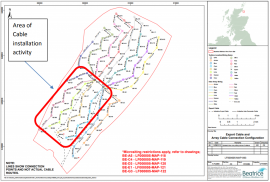 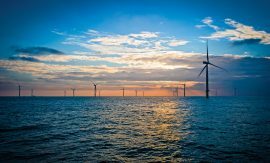 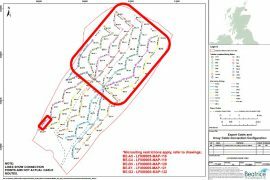 UK consultancy MarineSpace Ltd has won a contract from London Array Limited for the provision of consent and licensing services at the 630MW London Array offshore wind farm in the Thames Estuary. 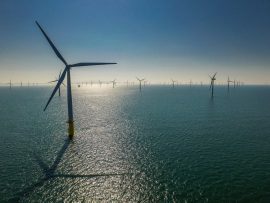 Innogy has partnered with Irish company Saorgus Energy to progress the development of the Dublin Array Offshore Wind Farm through to planning consent, and is set to acquire an equal share of the project. 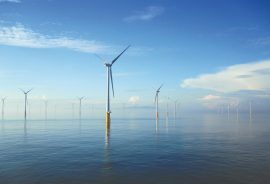 The next phase of project development will be led by innogy with support from Saorgus Energy. 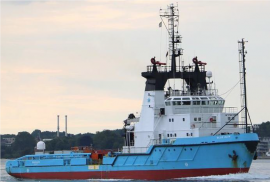 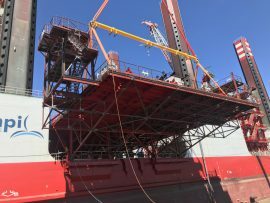 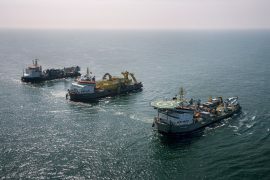 After installing 16 inter-array cables at the Beatrice offshore wind farm in late 2017, the cable laying vessel Siem Aimery continued the works with the second campaign that started on 10 March. 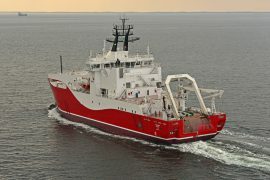 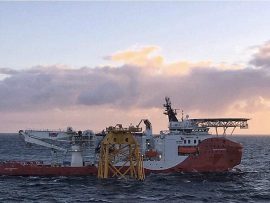 Siem Offshore Services’ cable laying vessel Siem Aimery has installed 15 inter-array cables during the first cable installation campaign on the Beatrice offshore wind farm in the Outer Moray Firth, Scotland. 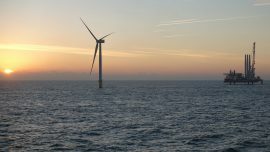 The 56th and final Siemens Gamesa 6MW wind turbine was installed at the Galloper offshore wind farm today. 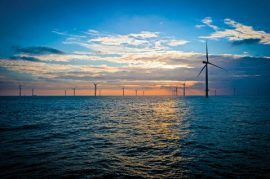 The 353MW offshore wind farm is expected to be commissioned in Spring 2018. 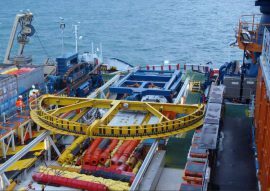 The first inter-array cable installation campaign at the Beatrice offshore wind farm started today, 10 November, as the cable laying vessel Siem Aimery, supported by CSV Siem Stingray, is set to install up to 24 cables in the south part of the project site. 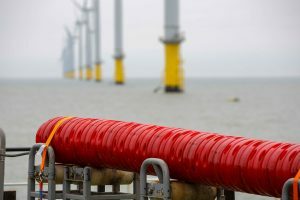 Dutch company Ridderflex has produced and delivered about 180 customised polyurethane hang-offs and plugs to GeoSea, the company now using these tools to connect the inter-array cables to the wind turbines at Belgian Rentel offshore wind farm. 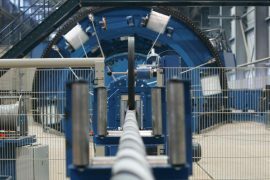 Vos Prodect Innovations has won a contract by TKF (Twentsche Kabelfabriek) for the design and supply of sealed inter-array cable hang-off systems for the 497MW Hohe See offshore wind farm project located in the German North Sea. 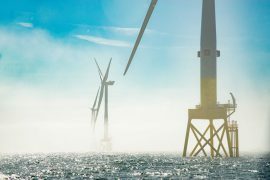 VBMS has signed a Preferred Bidder Agreement for the supply and installation of the inter-array cables for Moray Offshore Windfarm East (MOWE) off Scotland, the UK.